Bringing you the best healthy choices.fresh fruit.low-calorie packs.juices.nuts and whole grains. Park Vending is committed to helping you snack smart. We want to support you in leading a healthy lifestyle. 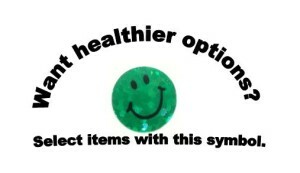 Healthy options are an important part of our overall vending and refreshment program. We offer a variety of nutritious and delicious snack and beverage items. 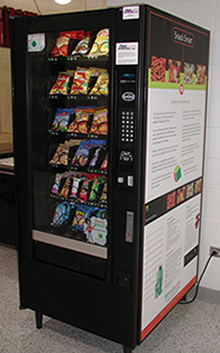 As a standard all of our snack machines are installed with 25% healthier choices. We will work with you to customize a program that meets your needs and requirements. What is a Healthy Choice Product? Snack food items in excess for 100 calories must provide one or more of the following for each 50 calories increment: 2 or more grams of fiber; or 5 or more grams of protein; or 5% DV or more of Vitamin A, C, E, folate, calcium, magnesium, potassium, or iron; or ½ serving or more of fruit or vegetable.